The coordinating group of the anti-terrorist center at the Ukrainian Security Service's (SBU) office in Ternopil region has conducted scheduled tactical exercises in the region, the SBU press center reported on Saturday. Over 500 officers of law enforcement agencies, executive authorities and local government agencies improved the methods and skills of joint actions amid a sabotage and terrorist threat at critical infrastructure sites in the region. The participants in the exercises conducted intensive search activities and fulfilled tasks to neutralize sabotage groups, hold negotiations with the criminals who took hostages, the press center said. The Alfa and KORD rapid response forces conducted a training assault operation at a site of increased man-caused danger near Ternopil. 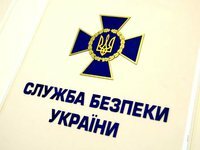 SBU said that these exercises had made it possible to check the readiness of all subjects of anti-terrorist activities in Ternopil region to prevent and stop sabotage and terrorist attacks, as well as to minimize their consequences.